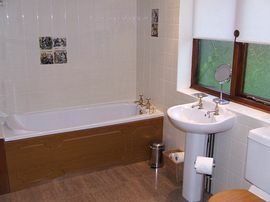 Bedroom 1 is spacious with a large fully tiled bathroom with both bath and shower, also a conservatory and it's own acess to a small enclosed garden. Shooting over Pointers can be arranged. Small groups with small bags. Subject to insurance. 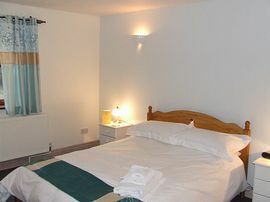 We have three top quality bedrooms, TV/DVD, Tea or coffee making. Two en-suites, with King sized beds and one with adjoining private bathroom. Start your day with our farmhouse breakfast, included in the room rate. If you prefer a "pack up" to breakfast, no problem. If you are on business or pleasure, we are ideally situated for East Anglia. Bury St Edmunds is 16 miles, Ipswich 20 miles, Norwich and The Broads 20 miles and Cambridge is 35 miles away. For holiday makers, the list is endless: Wyken and Thelnetham Vineyards, Whisky distillery at Harling, the working Pakenham mill, walks and cycle rides abound. Double occupancy one night £65.00. Three nights plus £60.00. per night. 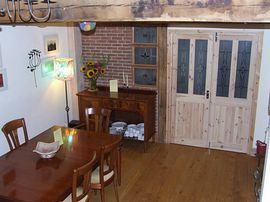 Single occupancy one night £60.00. Three nights plus £55.00 per night. Smaller room, double bed, private adjoining bathroom. Cost: Double occupancy per night £45.00. Single occupancy per night £40.00. Double occupancy one night £55.00. Three nights plus £50.00. per night. 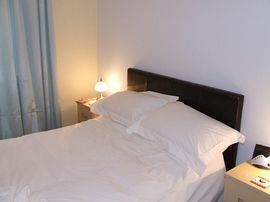 Single occupancy one night £50.00. Three plus nights £50.00 per night. Flexible check in and check out all year. Grove Flock Farm is 6 miles South of Diss on the A143 taking Mill Road South for 1.5 miles. We are at the junction, on the left. Coming out of Bury St Edmunds on the A143. Travel north for 16 miles, take the B1113 signposted Stowmarket. After 50 yards turn left into Church Lane, follow to the junction, about 2 miles, we are opposite.